The Swish Stix saline mix is made in the USA and compatible with all neti pots including Nasopure, Rhino Horn, SinuCleanse, NeilMed, Nasaline, Himalayan, and Ayr. Product is assembled in the USA by disabled adults in a sheltered workshop. Nasal Washing with the Neti Pot Salt / Saline Solution Refill Kit by Nasopure is the natural way to improve sinus health and prevent sickness because it uses natural ingredients and does not have any side effects. 1/2 of a pre-measured Swish Stix in a 4 ounce container makes isotonic solution and 1 full Swish Stix in a 4 ounce container makes hypertonic solution. Regular use of a saline nasal wash can soothe and moisturize nasal membranes which helps keep sinuses clear, clean, and healthy. Further, nasal washing can reduce allergy symptoms, sinus congestion, and dependency on medications such as antibiotics, antihistamines, nasal steroids, decongestants, and asthma medications because the saline mix creates an adverse environment for viral and bacterial organisms. 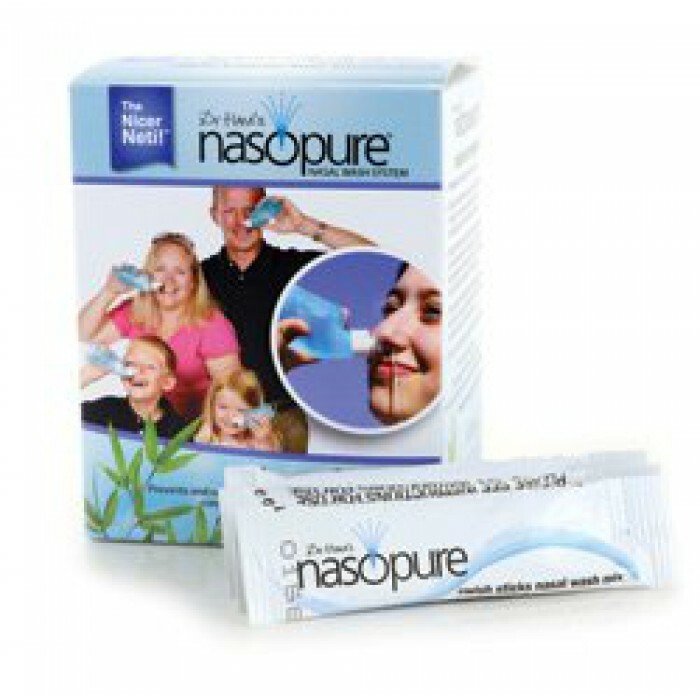 It is recommended to use less saline mix to start and to gradually increase the potency of the saline mix. Included are detailed instructions that describe how to create the saline mix with the easy to use Swish Stix salt packets. Recommended for use by children two and above, athletes, performers, singers, travelers, seniors, firefighters, construction workers, farmers, military, and anyone exposed to environmental pollution and irritants.